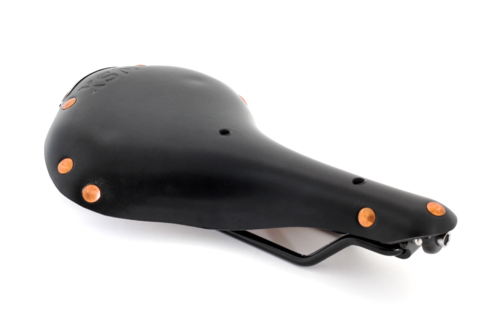 NSX Black Leather/Copper Rivets - Chrome Rails. 10 left. Made earlier this year for a customer who changed his mind. Need to move them out!!! Incredible deal at $99.99. If you’re coming from a certain traditional leather saddle, you may want to give NSX a try. Stiffer than our slotted models, NSX will feel more familiar, but also very forgiving. 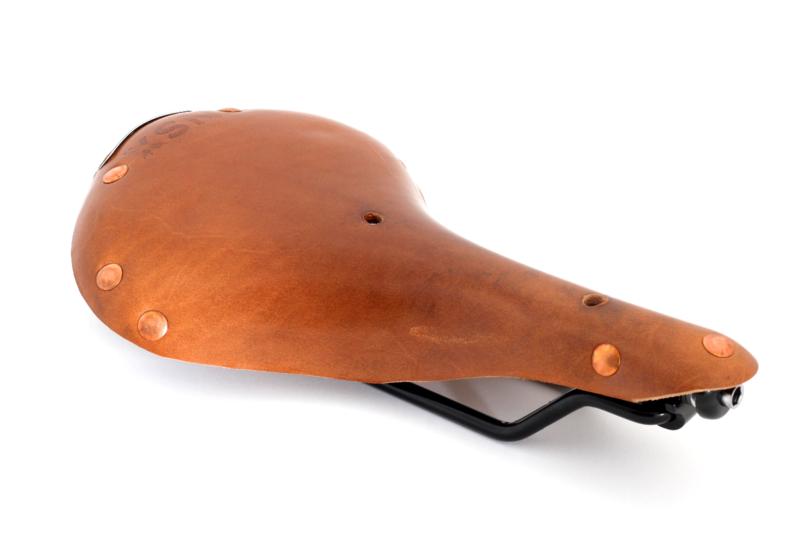 This is the saddle for high mileage cyclists (~100 mi/week) or those between 150 and 250 pounds. 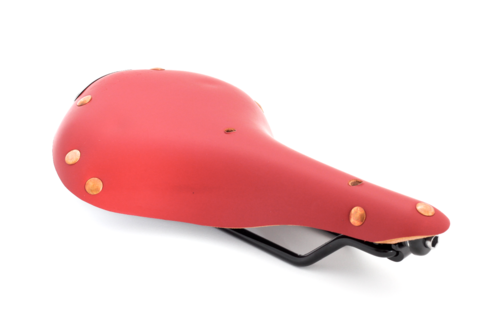 Women are also increasingly finding this to be their saddle of choice.